Join us for a special evening tour and talk. Doors will open for this event at 6pm, but we strongly recommend pre-booking to avoid disappointment. 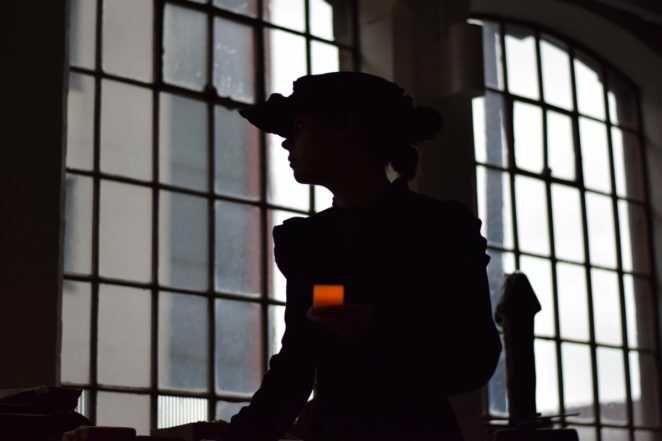 At 6.30pm, take part in an atmospheric candlelit tour of the Coffin Works Factory opened by the Newman Brothers in 1894. They produced coffin fittings of the highest quality, perfect for dignitaries and royalty. Please be aware that lighting levels will be lower than for normal tours, take extra care when moving around the museum. Dress warmly as the museum may be cold! At 7.30pm, find out about the fascinating traditions surrounding Victorian funeral practice in an informative, illustrated talk led by Josie Wall. The talk will last 45 minutes, plus time for refreshments and the ticket price includes hot drinks and biscuits. This event ends at 8.30pm. Tickets are £12 click here to book. Please email newmanbrothers@coffinworks.org or call 0121 233 4790 for more information. Please can you let me know when tickets are available for this event, candlelit tour I’d like 2 tickets. This would be great as I’m doing my dissertation for my masters on victorian funeralia. Tickets will be on sale soon! We’ll email you as soon as they are available. Look forward to meeting someone else who studies the subject!